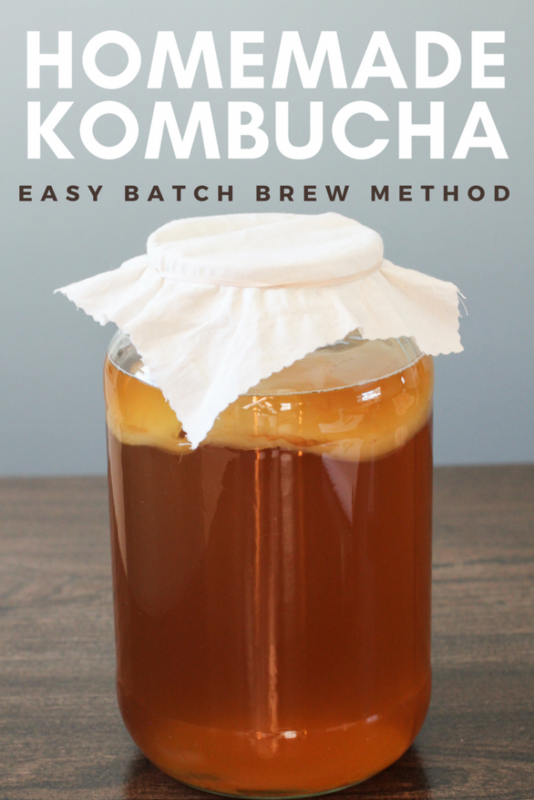 Make homemade kombucha using the easy batch brew kombucha method. 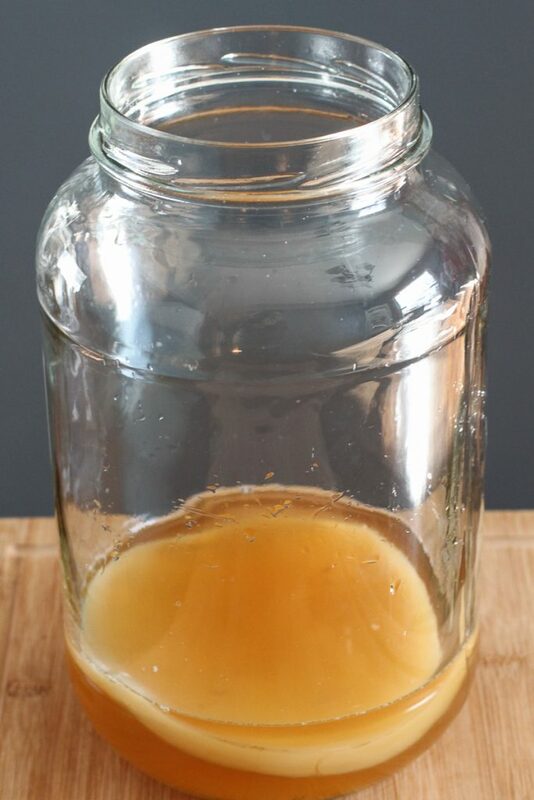 Homemade kombucha is healthy and delicious! What is batch brew kombucha? Batch brew kombucha or batch brewing kombucha is a method of making homemade kombucha. This method involves making one batch at a time versus continuous brewing kombucha. This method is straight forward and perfect for beginners. Batch brewing kombucha also lets you easily experiment with different teas since each batch is separate. What do I need for batch brew kombucha? You will need a 1 gallon glass container. We like this glass jar because it comes with a cloth cover and rubber band too. 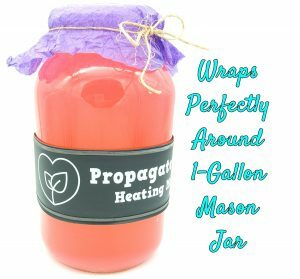 Alternatively, you could use an old gallon-size pickle jar. However, you will need to wash it several times to get the pickle smell out. You will need a tight-weave cloth cover for your vessel. An old t-shirt or thin kitchen cloth are good options, as are coffee filters. Avoid using cheese cloth as the weave is too loose and you could end up with a contaminated container and batch. You can also get custom fermentation caps from this Etsy Shop. We love ours, they fit perfectly and are easy on, easy off. Black and green tea are the most popular teas used for kombucha. If you are just getting started, we recommend using one or the other, or a mixture of the two. As you get more comfortable with brewing, you can experiment with any tea from the Camellia Sinensis plant. I highly recommend choosing organic tea for every single batch. Awhile back I met a lady visiting from China and she said no one in her city would ever consider drinking tea that wasn’t organic. She has seen the pesticides used first hand and would NEVER consume it herself or serve to family or guests. She was very adamant about it and it left a lasting impact on me. Fortunately organic green and black teas are easily accessible here in the U.S. and are not significantly more expensive than non-organic. 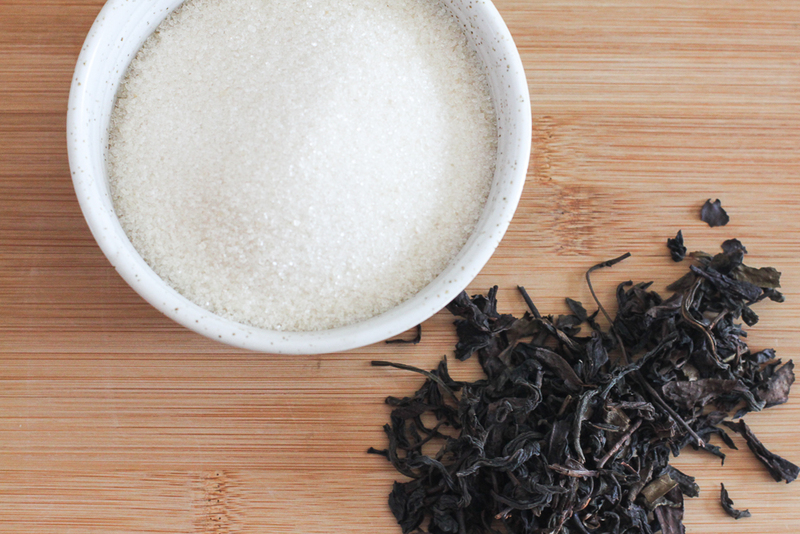 We do not recommend using decaffeinated tea or any tea that contains oil, such as Earl Grey. If you are looking for a bulk budget option, these tea bags are a good source. For loose leaf tea, we recommend Rishi Tea and of course, a steeper. Organic white sugar or organic cane sugar are the best options for brewing kombucha. Sugar substitutes are not recommended. SCOBYs are partially made of yeast and yeast thrives on sugar. You may have read that honey is also an option. 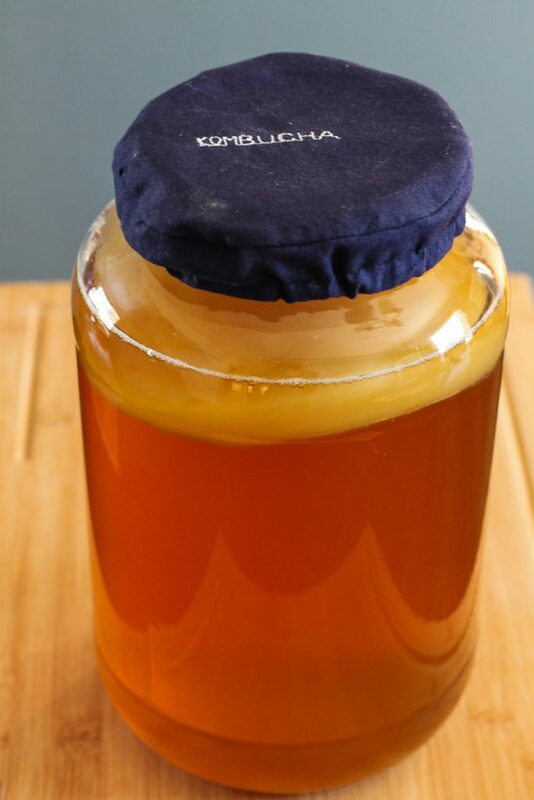 Kombucha made with honey is actually called Jun. Jun and kombucha brew differently and we recommend having a solid grasp on brewing kombucha before brewing Jun. You’ll need a SCOBY or a “mother” to get started. If you have a friend who brews kombucha, ask them if they will share a baby SCOBY with you. If not, there are plenty of trustworthy SCOBY sellers online. We recommend this SCOBY seller as she sends properly packaged, healthy SCOBYs with starter tea. 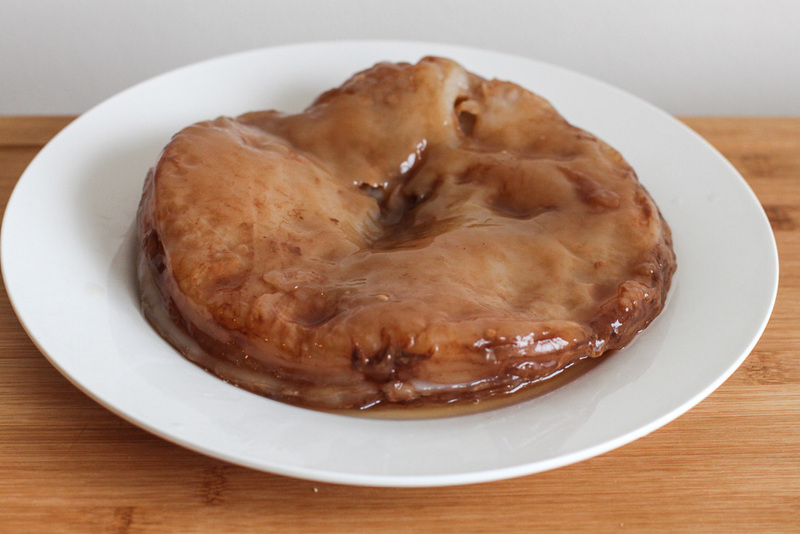 Contrary to popular belief, the size and shape of the SCOBY does not matter. You will grow a new SCOBY during your first brewing cycle that will take the shape of your brewing vessel, no matter what size you begin with. Starter tea is the most important ingredient for a batch of kombucha. Starter tea is really just finished kombucha from a previous batch. You will want at least one cup of starter tea for your first gallon, but two cups is even better. A good strong starter tea provides your brew with everything it needs to ferment; it creates a safe brewing environment and will jump start the process. 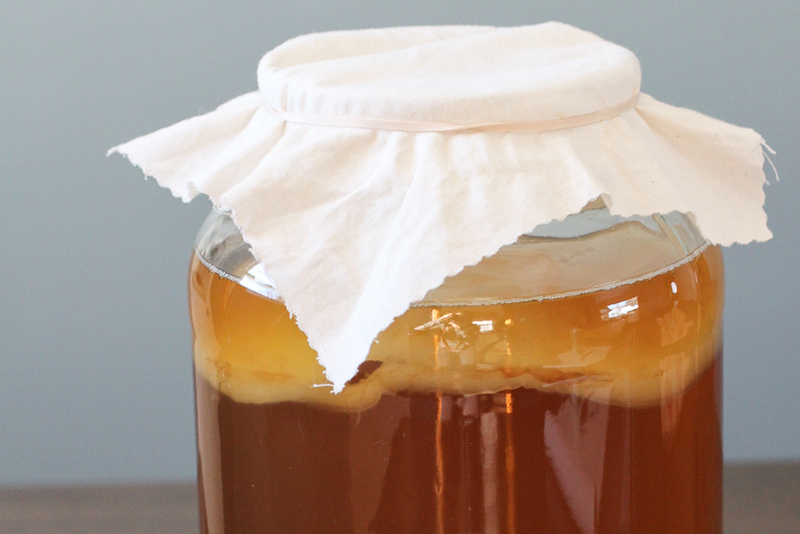 How do I know when my kombucha is finished brewing? Good question. The length of your brewing cycle is dependent on a couple things. The first being the temperature of your house. In the dead of summer, our batch brews will be done at about 10 days. During the winter, it can take up to three weeks. The warmer the temperature, the faster the brew. If possible, try to keep your brewing environment between 68-78° F.
The second variable in your brewing cycle is actually your taste preference. Some people like a slightly sweet kombucha while others prefer a more tart and slightly vinegary taste. I recommend tasting your brew at the 7-10 day mark. If it tastes too sweet, let it continue brewing and taste again in the few days. If it’s too tart the first time you taste, just remember to reduce the amount of days for your next brewing cycle. You can add sweetness back into the kombucha during the 2F (second fermentation) with a sugary fruit. Your preferred brewing cycle will be a learning curve, but that’s all part of the fun of making kombucha at home! Don’t want to source everything yourself? Choose a Kombucha Starter Kit instead! This kit comes with everything you need to brew 1 gallon of organic homemade kombucha. Once you get into brewing, you will realize there are a lot of optional accessories to consider. If you want a fizzy kombucha, you will need to do a second fermentation using airtight bottles. We have tested a lot of different brands and always recommend these groslch-style swing top bottles for kombucha. The glass bottles are dishwasher safe and the caps are easy to clean with a soapy sponge. 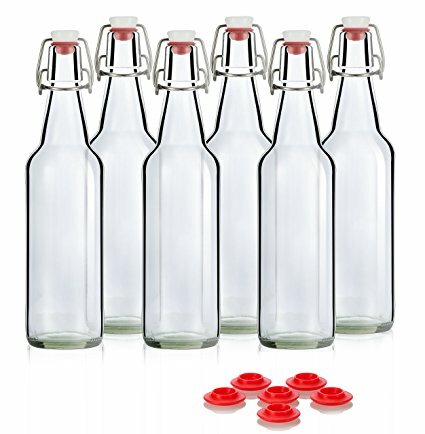 We have used other brands, but found the caps tend to loosen and some glass bottles will actually chip because of the cap itself. They are also available in a 32oz size. We use both! As I mentioned above, temperature plays an important role in kombucha brewing. We live in Wisconsin and need to be mindful of the temperature during the winter, so we purchased a fermometer. The fermometer sticks to our glass jar and helps us monitor the temperature of our brew. If you live in a colder climate like us, you may find it challenging to keep your temperature to at least 68° F. Consider investing in a heating wrap specifically designed for brewing kombucha. You may read other blogs that suggest using a seedling mat, but we don’t recommend that because it only heats from the bottom of the jar. Over time, this may cause your brew to become more yeasty than it should be, which generally leads to a vinegary tasting kombucha. The heating wrap allows you to warm from all sides, not just the bottom. Once you get going with brewing, you are going to want to label your bottles with the date and any information about flavoring. We love these chalk marker pens. Easy to stash with our bottles and the writing comes off in the dishwasher. Now that you know how to batch brew kombucha, your next step will be flavoring or a second fermentation. Check out our recipes for Ginger Kombucha and Citrus Rosemary Kombucha for some inspiration!